So for those of you NOT frightened off by all of this, we have the Newport to Cabo Race coming up in March. 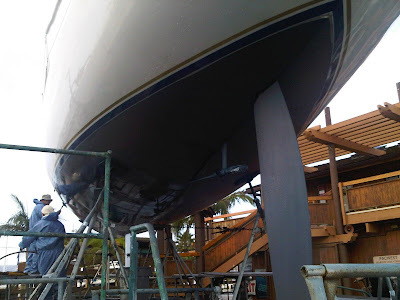 Still a couple of spots open aboard Hula Girl. Many hearty thanks to Kevin for putting this together. And thanks to the other coaches Geoff and Barry, and the crew of Bob, Mark, Rick, Tom, and Vern. Well sailed, gang! 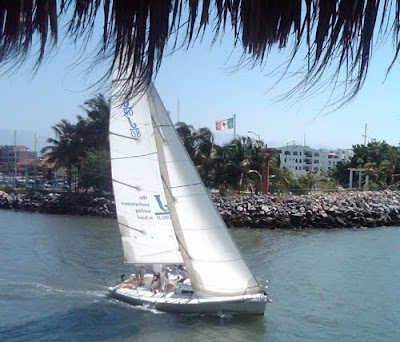 Cheers, gotta run… sailing in the Banderas Bay Blast today, and wow it’s pretty here in Mexico! Yep, the 2010 Banderas Bay Blast kicks off today here in Puerto Vallarta. This is a low-key, informal ‘regatta’ (and we are using that term in the loosest way possible, since the ‘winners’ are chosen from a hat!) is made up of three days of point-to-point cruises. Today is from wherever-you-are to La Cruz. Tomorrow is La Cruz to Punta Mita. 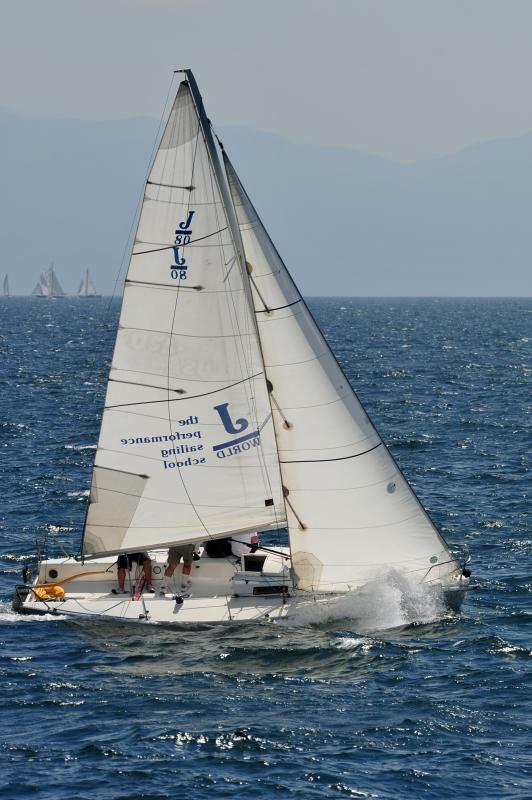 And Friday is the Pirates for Pupils Spinnaker Run for Charity… 14 miles downwind from Punta Mita to Paradise Village and the Vallarta Yacht Club in Nuevo Vallarta. The conditions? Looks to be perfect 12-16 knot afternoon seabreeze, air temp at about 80 degrees, with water temperature at 78. Hmmm… December is looking good! Anyone down in Vallarta should try to make it out for this good cause (and fun event)… and those of you not down here should seriously think about making the excuse to join us south of the border. 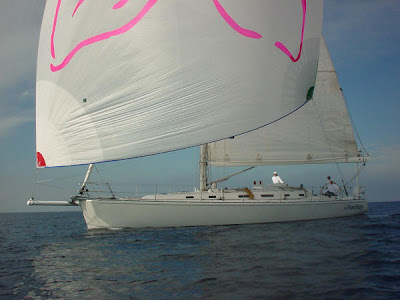 J World Sailing has lots of sailing courses running at our Puerto Vallarta sailing base, and we offer skippered charters and bareboat charters to boot! And for the racers…. 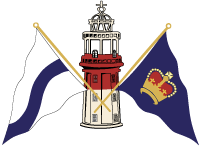 our next sailboat racing course is the week of December 13. 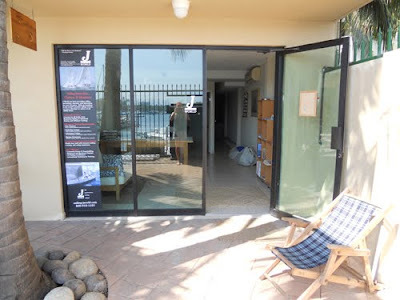 Then there is the Banderas Bay Regatta and Clinic in March, and don’t forget the Newport to Cabo Offshore Yacht Race! … to Mandalay. Indeed. 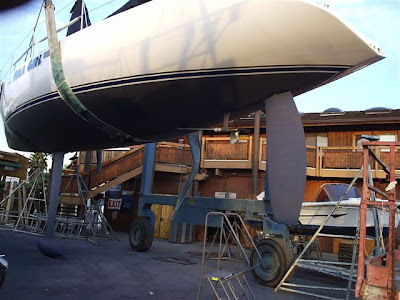 We here at J World Sailing School are excited to announce the latest addition to our fleet: the stunning J/160 Mandalay. 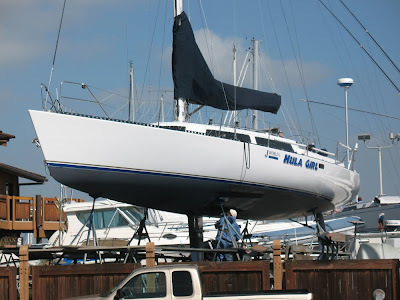 I personally know this boat quite well… I have sailed her up and down the West Coast from San Francisco to Puerto Vallarta and back. Since then, she has done some serious miles… all the way to the South Pacific! Mandalay is a stout, fast, offshore passagemaker with all the amenities you could ever dream of. Two staterooms with heads, a huge salon, spacious galley, state of the art nav center, central heating & AC with three climate zones, washer/drier, even a dive compressor! Great lines. Big rig. Relaxed crew. What’s not to like? Mandalay is available for skippered charters, sailing and cruising instruction, special sailing events, and executive team-building at our San Francisco Bay sailing center. … another awesome day of sailing. Seriously. This place is amazing. With cruising season underway and new boats arriving everyday, and with Thanksgiving holiday right around the corner, which will be immediately followed by the Banderas Bay Blast, you really need to get down here. Take a sailing course, charter a boat, whatever. You can’t go wrong! The Girl gets Gussied Up…. Hula Girl in San Diego getting a bottom job…. Wet-sanding the bottom to 1500 grit… it’s a burnished bottom with a nearly polished finish to it by the time they get done. Our Winter season in Mexico is off to a fantastic start. We have a Learn to Sail class and a Performance Cruising course running this week, and the conditions really couldn’t get any better right now: the seabreezes have been 12-15 knots in the afternoons, with warm water and almost more sun than we can handle and dolphins and sea turtles all over the place! The season is just getting going, so grab your sunscreen and flip flops and c’mon down. A little over three hours from San Francisco, with great deals on travel and accommodations, and some seriously great sailing….